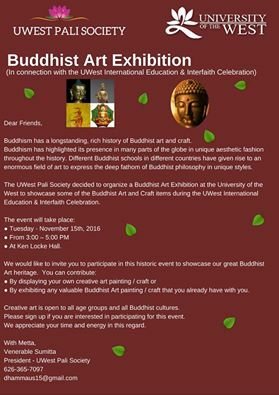 UWest Pali Society is committed to promote Theravada Pali tradition both academically and ritually. We welcome all the UWest community members to join us and feel good with us. Thursday 5.00 p.m. - 6.00 p.m.